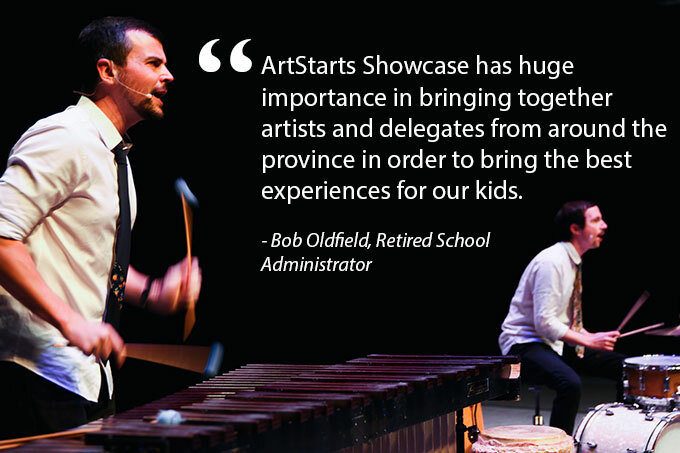 2018 marked the 22nd year of Showcase at ArtStarts in Schools. This year, we wanted to switch things up a bit. Not only did we change the format to a faster pace, we added in more artist performances for two jam-packed days of inspiration and activities! 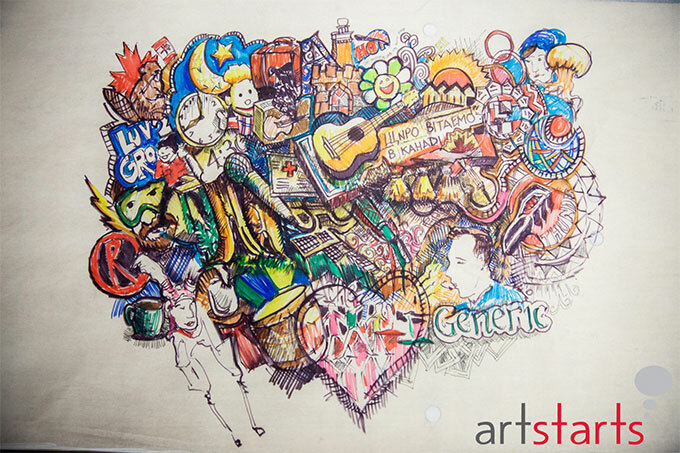 For the Showcase 2018 theme, the team at ArtStarts chose one close to their hearts, Storytelling. We believe stories are one of the most powerful tools for change because it allows you to experience someone else’s journey through their eyes. In other words, stories build empathy. 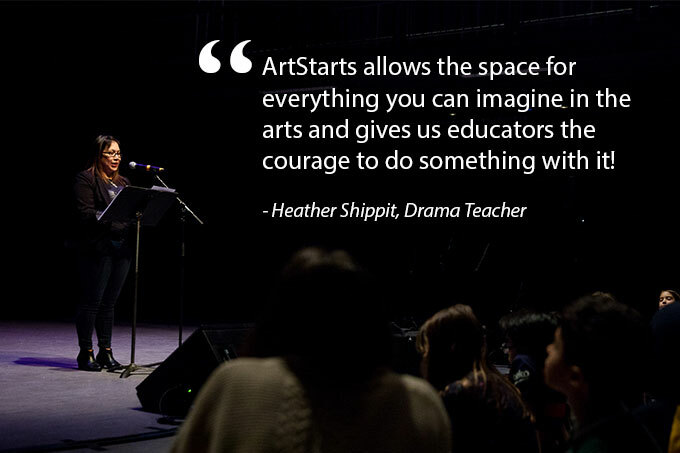 Through empathy we can collectively share the experience of the arts. Storytelling also evokes our imagination and allows us to learn. Who are we? Where are we? We wanted to hear from the audience themselves so we invited five delegates to present keynotes on how art has impacted their lives and the lives of their community. 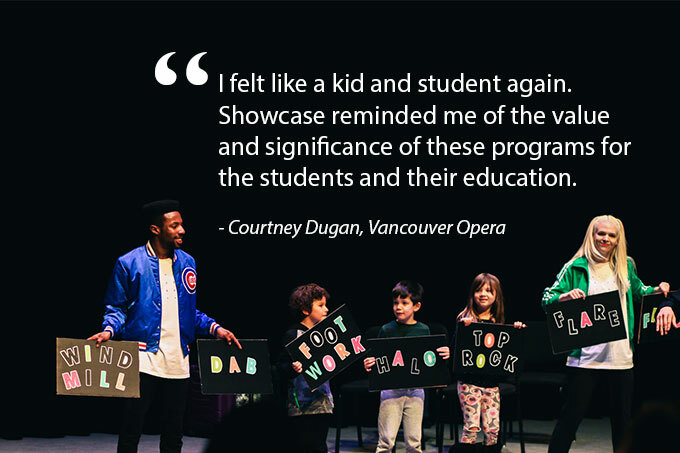 From the lens of arts and social justice, Colleen Maybin of the Vancouver Opera in Schools spoke on How Can the Diversity of our Classrooms Inspire our Practice? New Westminster educator, Leanne Ewen, struck a chord with many delegates in the room as she discussed how the arts helped one of her students discover their potential. We also heard many awe-inspiring stories from educators, Bob Oldfield, Charity Peal, and Fiona Laporte who shared personal stories of the important connection between arts and education. With 36 performing artists this year, Showcase was a full house. Not only in the theatre, but also in the contact room and reception following the first day. 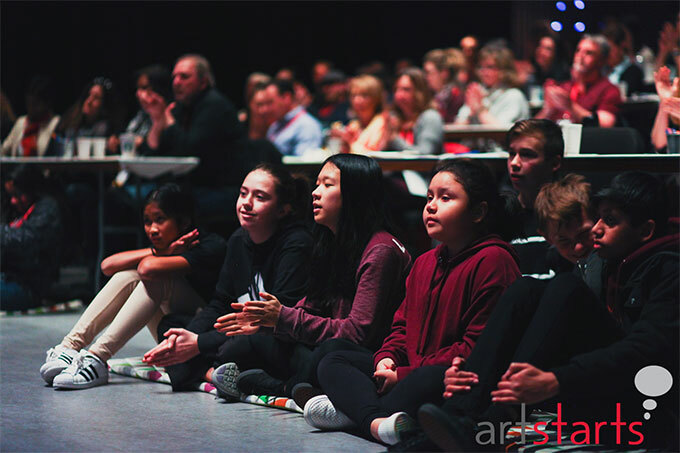 We wanted to make sure there were enough opportunities where artists and representatives from 48 school districts across BC could connect on a deeper level to share stories and meet one-on-one. 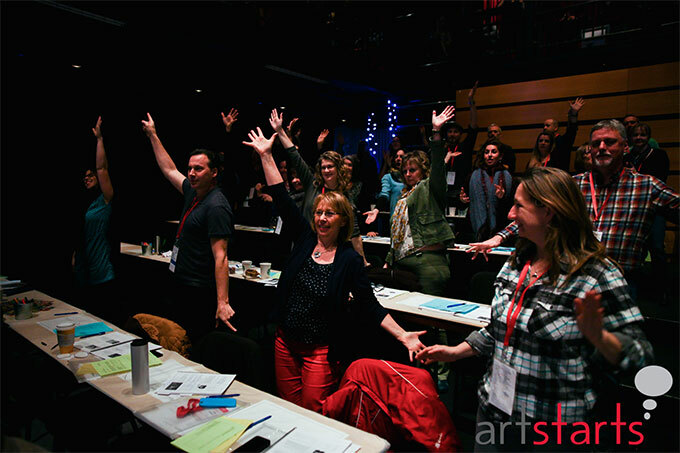 90% of delegates thought connections with artists was just right. 95% felt a greater sense of connection to a community of arts champions. 77% saw enough options to meet their needs for diversity across artistic disciplines and cultural traditions. The next annual Showcase will be on March 4-5, 2019. 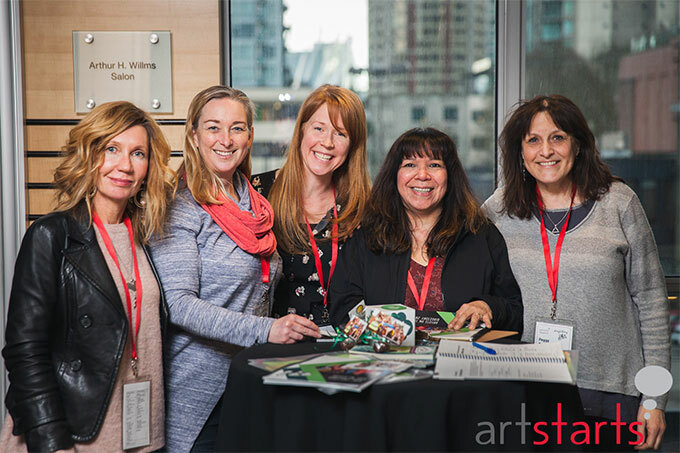 Sign up for our Newsletter to receive updates on grants to support the arts in BC schools, professional development workshops, and more! Check out our favourite moments over the two days. For the full album, visit our Facebook Page!